Scientific Name(s): Xeronema callistemon W.R.B. Oliv. Photographer(s) Appreciation: Fourth in a series featuring photographs and writings from other staff and researchers at UBC Botanical Garden and Centre for Plant Research. David Tarrant, UBC BGCPR's Public Relations and Programs Coordinator (2018 edit--now retired), took this photograph on a recent trip to New Zealand. Thanks, David! 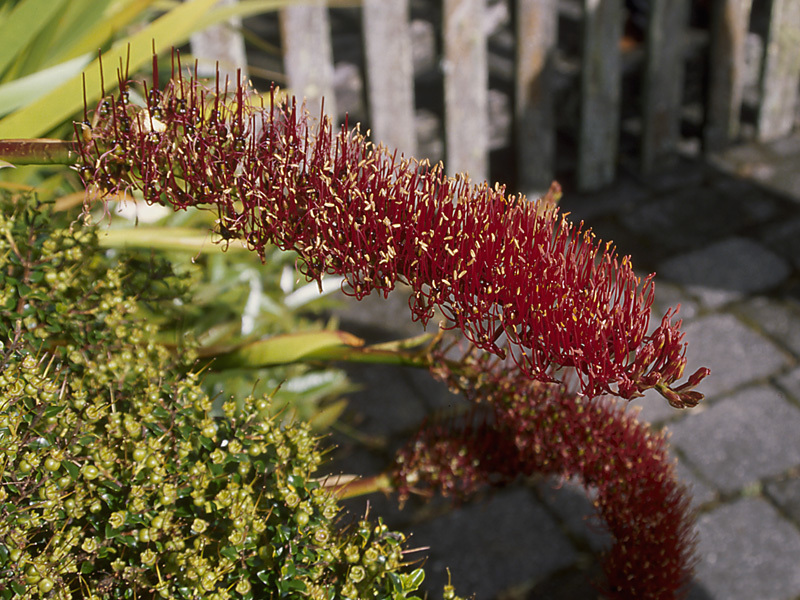 Xeronema callistemon is considered a threatened plant in New Zealand, because of the extremely restricted range. However, because of its attractive inflorescence, it is becoming more common in cultivation. Two forms are taxonomically recognized: the typical Xeronema callistemon f. callistemon and the minor genetic variant, Xeronema callistemon f. bracteosa (links contain photographs and descriptions of both via the New Zealand Plant Conservation Network). Photography resource link: For inspiration, the photography of Oregon’s Zack Schnepf.